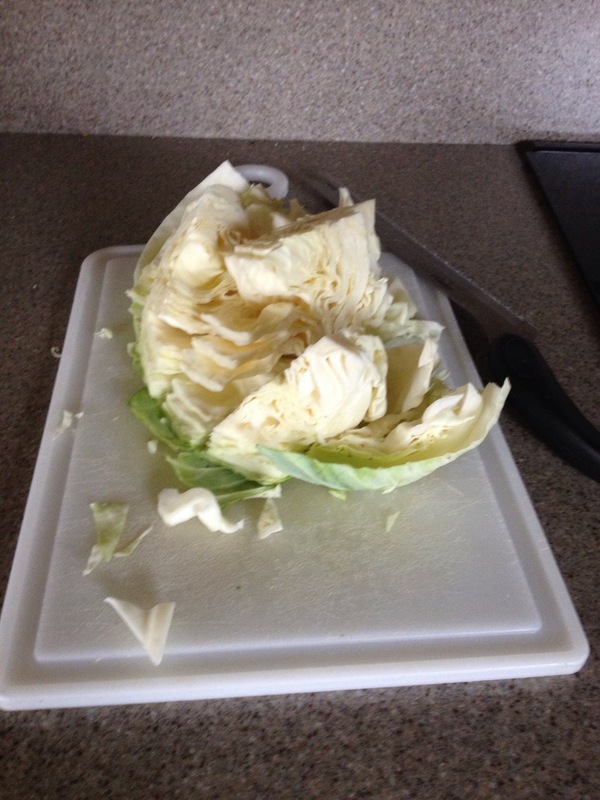 Ham All the broth Head of cabbage Put in a large pot and boil. 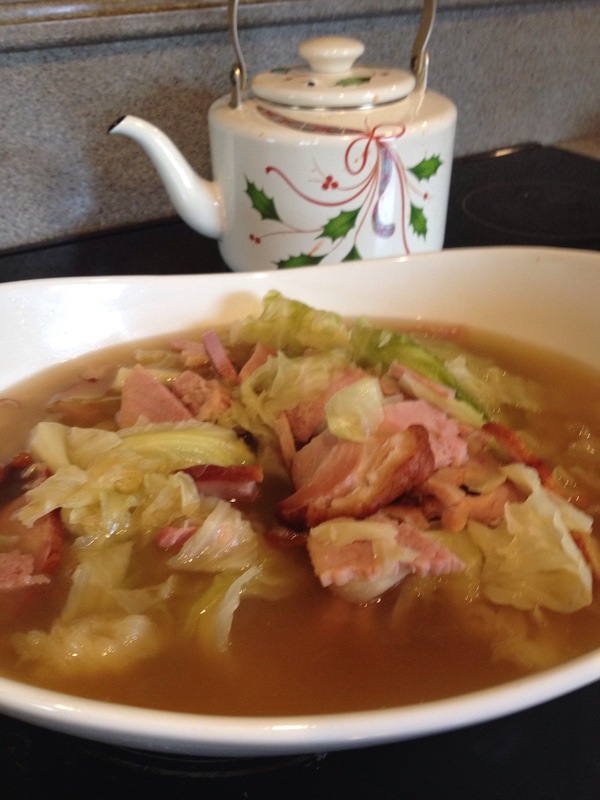 This made the best cabbage and ham dish we’ve ever had. You could add potatoes. 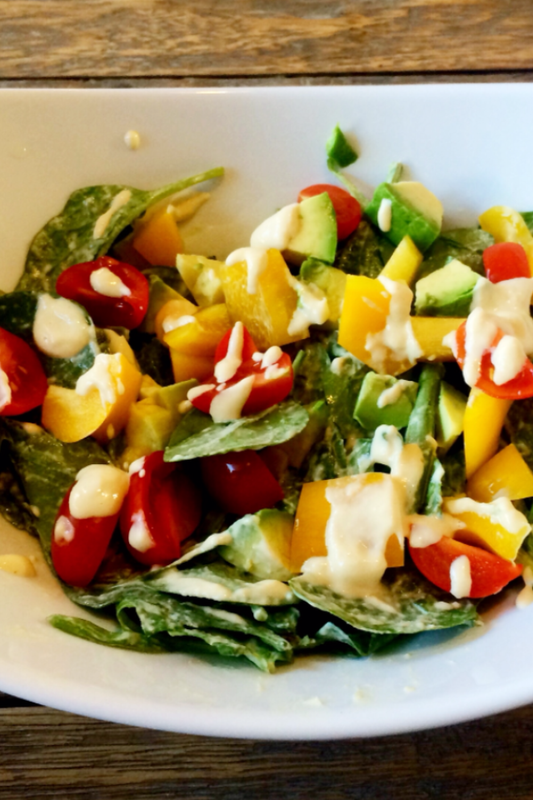 Serve with a Caesar salad using a homemade salad dressing. 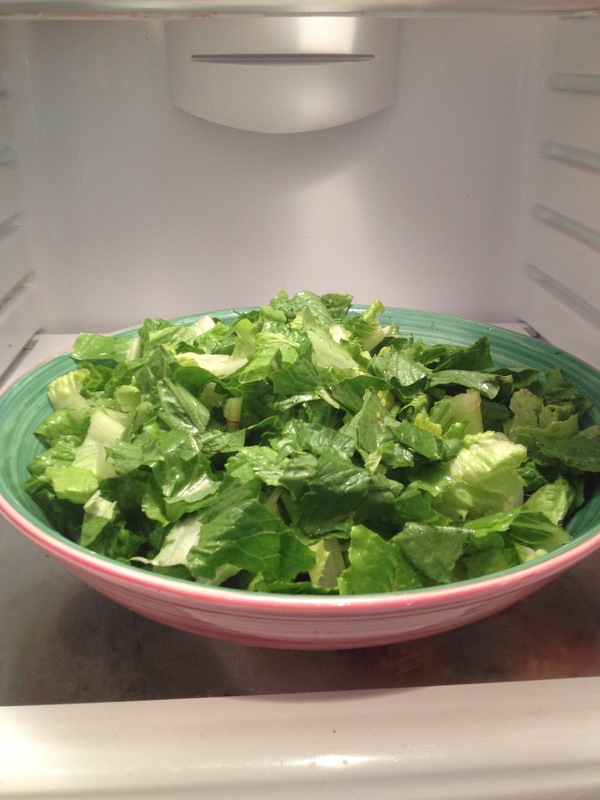 1/2 c vegetable or olive oil Add two crushed clove garlic 1 teaspoon black pepper 1/2 teaspoon salt 1 teaspoon Dijon mustard 1 teaspoon Worcestershire sauce 1 Tablespoon lemon juice 1 large egg yoke Put altogether and whip Wash and cut the romaine lettuce in small pieces and put in refrigerator to “wake up the lettuce”as mother would say. Crisp bacon and diced tomatoes along with croutons and fresh Parmesan cheese make it perfect. 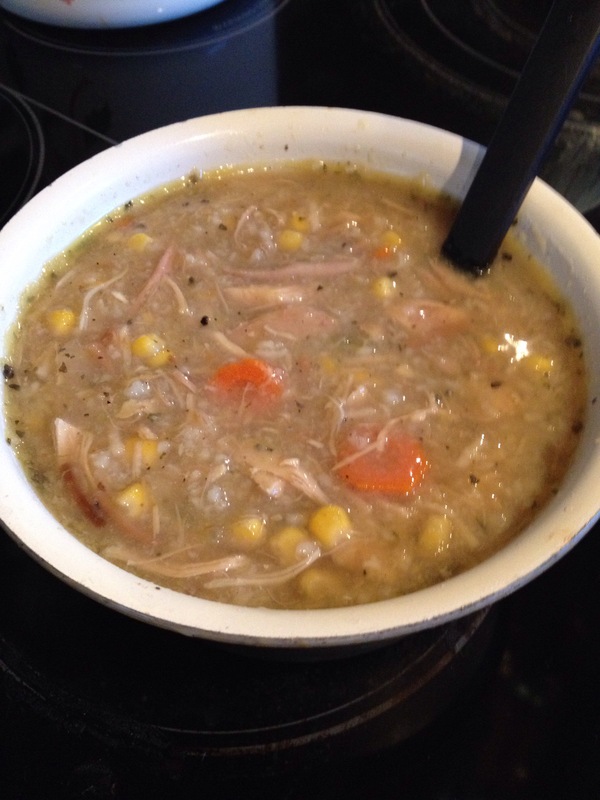 And of course the turkey soup with all the vegetables left that don’t have the casserole toppings! 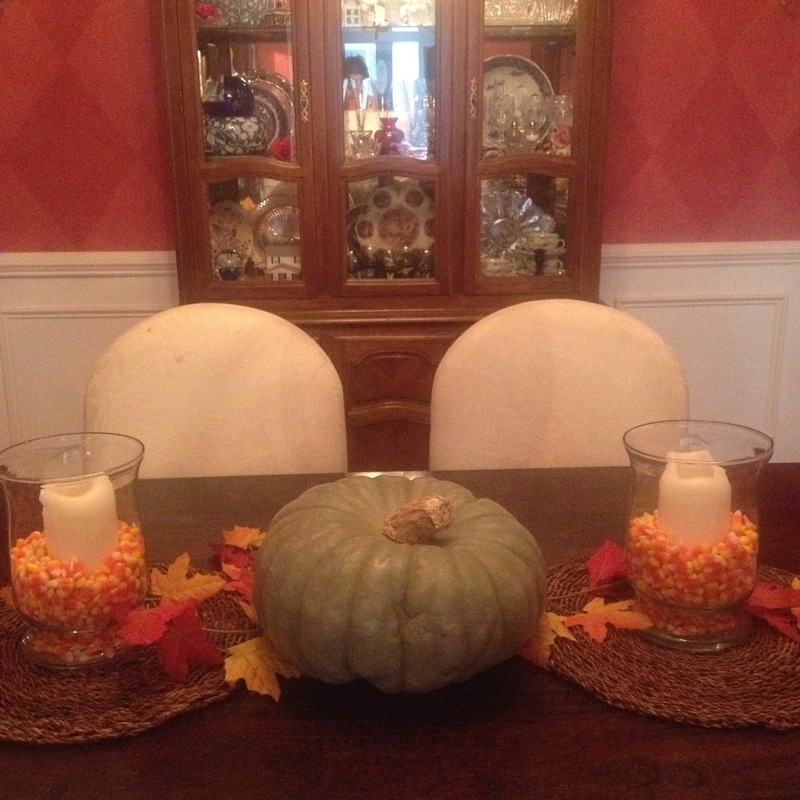 Thanksgiving was much different this year but we all tried real hard to have good and happy memories of LaDonna. 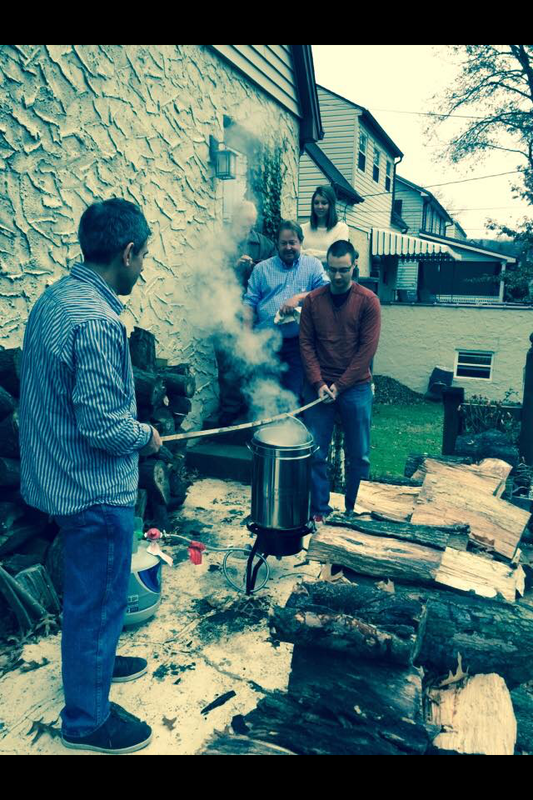 David even went out and purchased a turkey fryer !! We had so much fun! We created new and delicious tastes to inject into the two turkeys. The one we liked best was equal parts of melted butter, pure maple syrup and white wine. Then on the outside we rubbed cajun spices. After that we put fresh cut potatoes and with all those spices in the oil it flavored the fries! While the oil was still hot David fried a pork roast to have the next day. We certainly got our money’s worth out of that peanut oil we used! LaDonna would have been proud the guys didn’t set her house on fire! 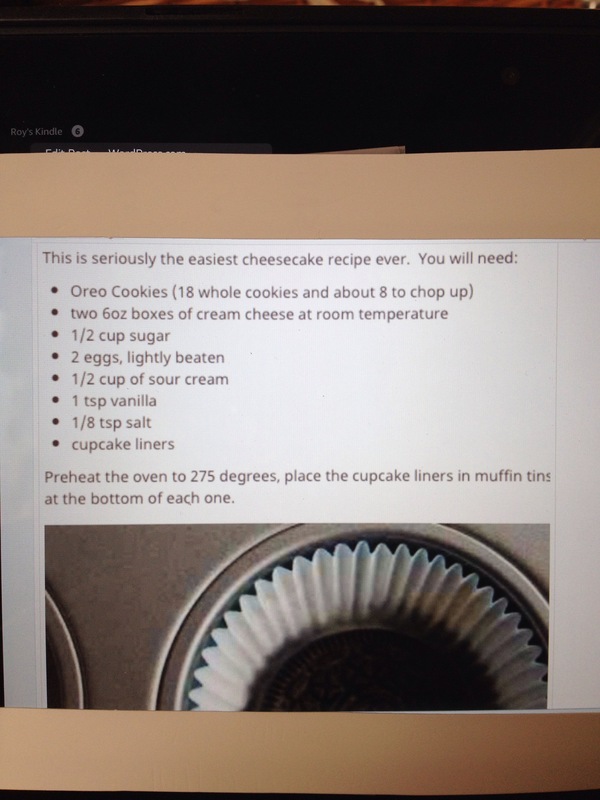 Here are a few recipes sent in you might want to fix. 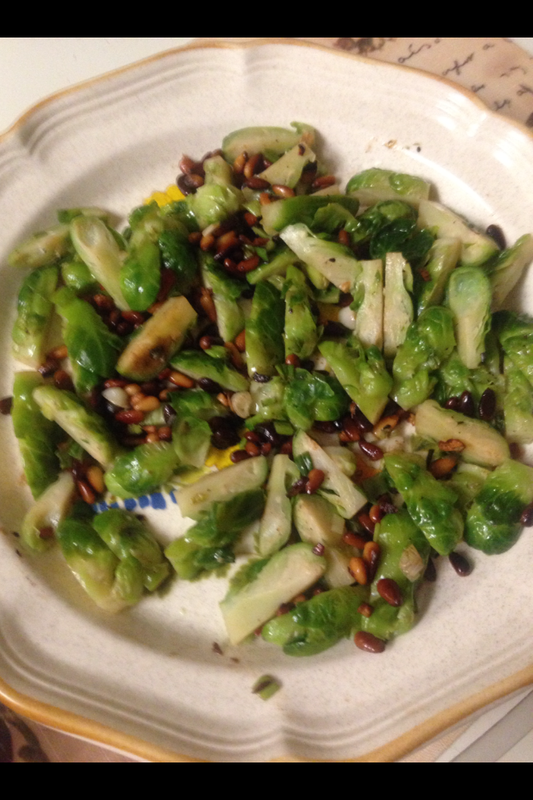 My sister, Rose Carol who lives in Santa Barbara, fixed her brussel sprouts by steaming them for about 15 minutes then adding them to her skillet where she had sautéed garlic, pine nuts and chopped onions. Stir together to mix flavors then top with fresh Parmesan cheese and crumbled bacon. Everything tastes better with cheese and bacon !! 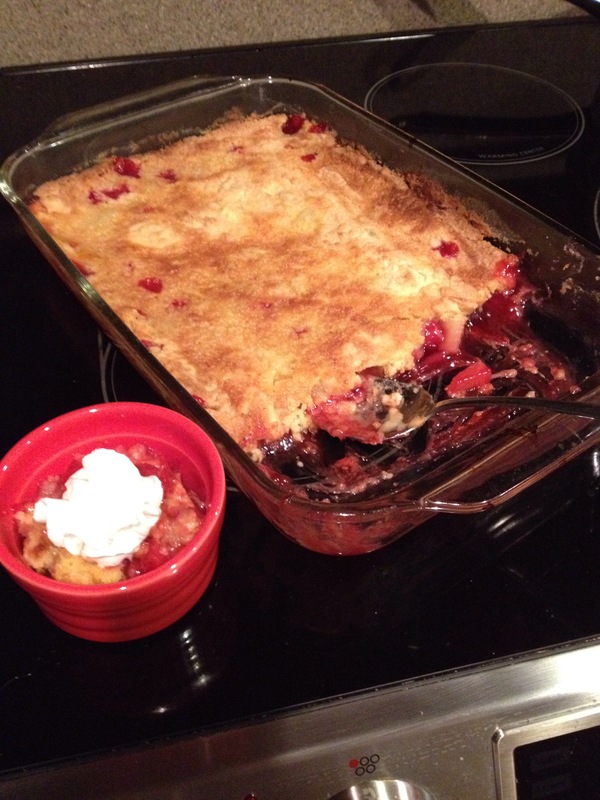 made this dump cake the other day and it was so tasty and easy you could fix it for breakfast. 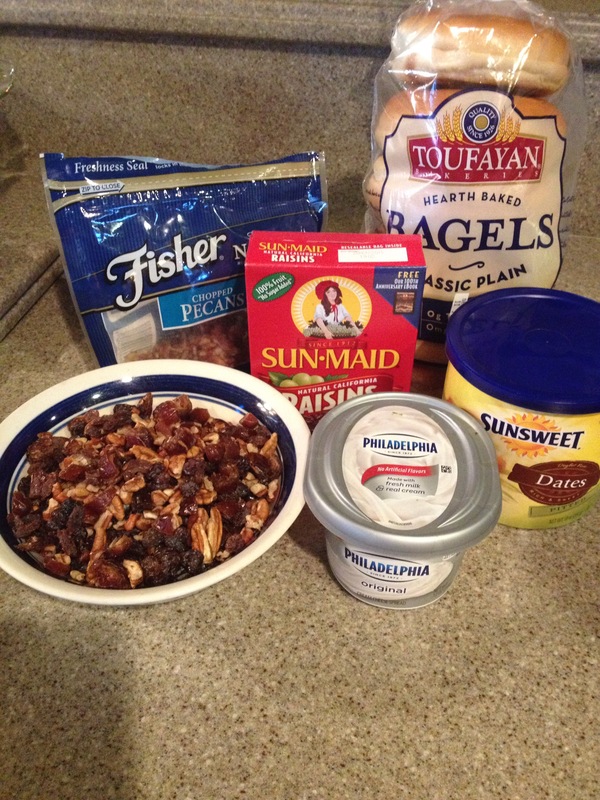 In a 9×13 sprayed with oil dish dump a can of cherry pie filling, on top of this add a 20 oz can of pineapple tidbits, then comes the cup of chopped nuts, add a layer of yellow cake mix and dab butter in several places on top. Bake at 350 for 25 minutes or till brown on top! Yummy! 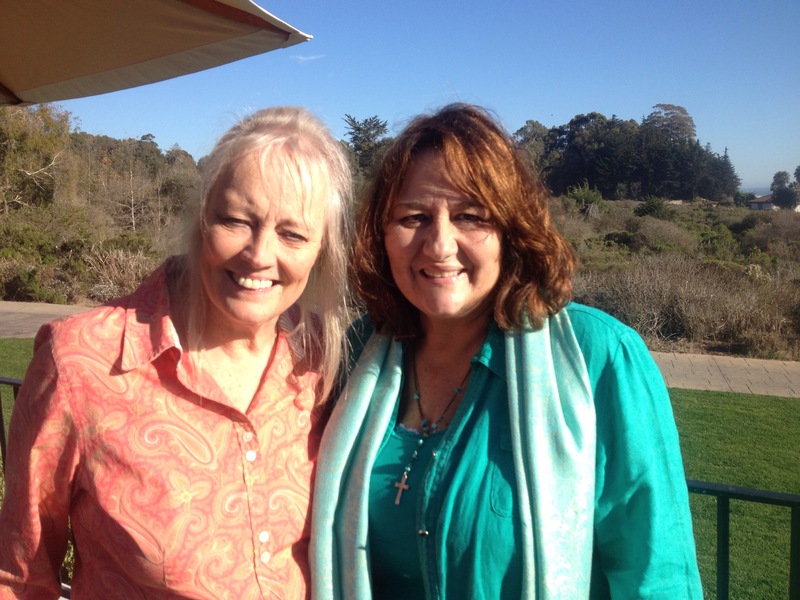 My niece, Ashley Tomlinson, lives in San Francisco where they do salads fresh and healthy. A very light dressing for this salad put in blender 1/4 cup cashews, 2 peeled oranges and 1/3 cup white vinegar and mix. We from the south may want to add just a little sugar! Ya, hear? 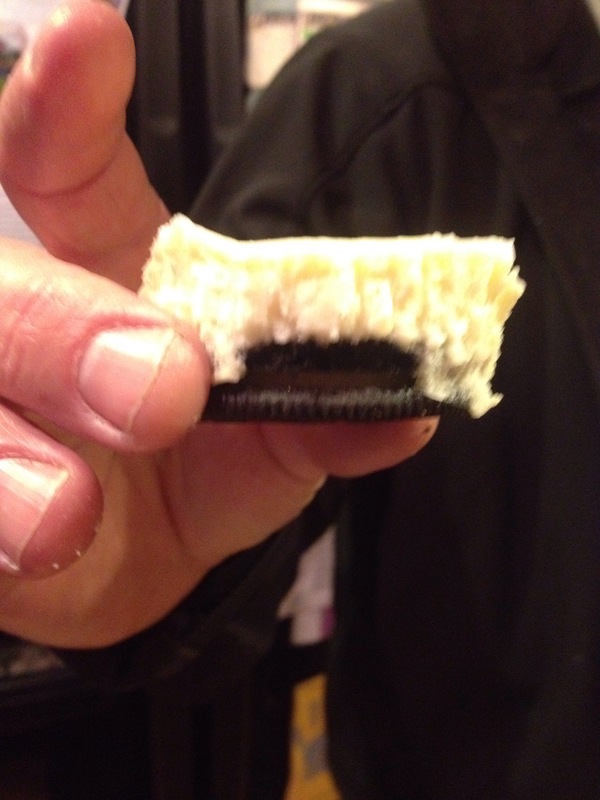 Another niece, Jessica Brevard and her friend Chelsea found these on Pintrest and had fun making them….and we all enjoyed eating them !! Years ago I had the opportunity to work for a property management company that sent me all over the southeast. On one of my trips to New Orleans a friend of mine, Dianne Corn, went with me. She’s a true Southern Belle with the accent to match. How lucky for me to have a friend willing to go with me. She was happy to help me market the property during the day so we could go out and explore the real New Orleans at night. Since my work would begin on Monday morning, we decided to leave on Friday evening after work to get a head start on our adventure. It was an easy seven hour drive so…. no sweat!!! Being in a hurry to get there and not planning ahead of time we arrived to the Gulf Shores area after midnight. Nothing special was happening on this particular week-end that we knew of but every hotel we went to was full. It was getting later and later and we were getting more and more tired so being young and probably very foolish we decided to park our car on the water side and fall asleep in our car to the sounds of the ocean rolling in. We fell asleep right away but woke up in the morning wet from the night’s dew and the humidity that was already making both our heads of hair very curly!! We drove on into New Orleans since it was still too early to find a hotel where we were. We were so happy to find the sweetest hotel called St. Ann’s just a few blocks from the French Quarter. Luckily they had a room for us to stay for the next few days but it wouldn’t be available for a few more hours. We were so excited to start exploring so we used the lobby restroom and did the best we could to make ourselves presentable for the day. We actually thought our hair looked pretty good with all the new found curls we’d found! Off we went to have breakfast at Brennan’s who’s specialty is Eggs Benedict, but so is my sister’s and I’m not convinced their’s was as good as hers. That can be another blog for later if she will share her secrets. After eating, antiquing was fun, mostly by looking through the windows. We walked and talked and spied through every courtyard fence we could. By now the heat was at its worse so we retired to our hotel and enjoyed swimming in our own little court yard and rested for the upcoming evening events. 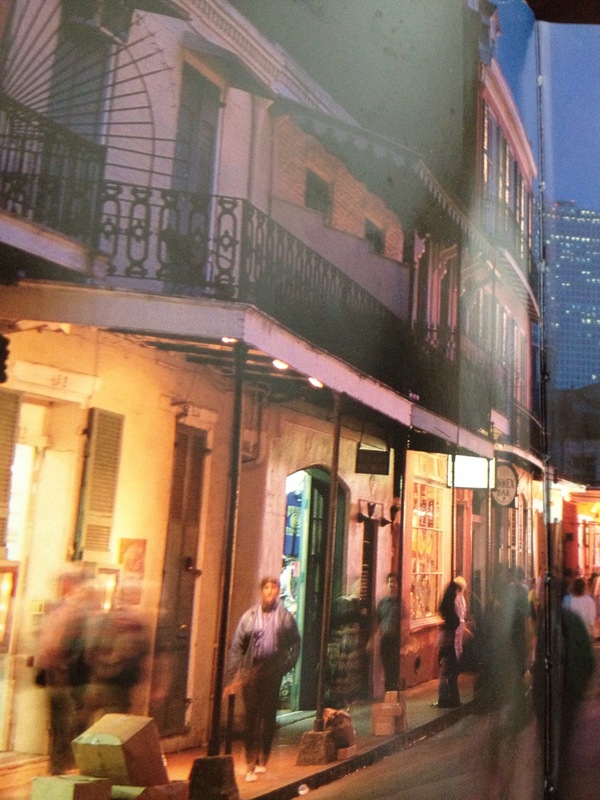 New Orleans takes on such a different face at nighttime. The music was jazz and you could here the piano and saxophone sounds over the rest of the instruments anywhere you stood and we knew we weren’t in Kansas anymore! We stopped by the Court of Two Sisters for their famous grasshopper drinks and onto a sweet hidden away little restaurant where we shared red beans and rice and shrimp gumbo with the best French bread ever! When we got out our map to see where we wanted to go next it was dark and hard to see, but all of a sudden we had a lot of light to read by and were looking over the map when a waiter came by and poured water on us to put out the fire from where the map was too close to the candle that was sitting on our table. Leaving there we were wide awake and decided to stop by Pat O’Brien’s and do as the regular’s do and enjoy a Mint Julep before bed. The next day we tried more new restaurants and new menu selections. 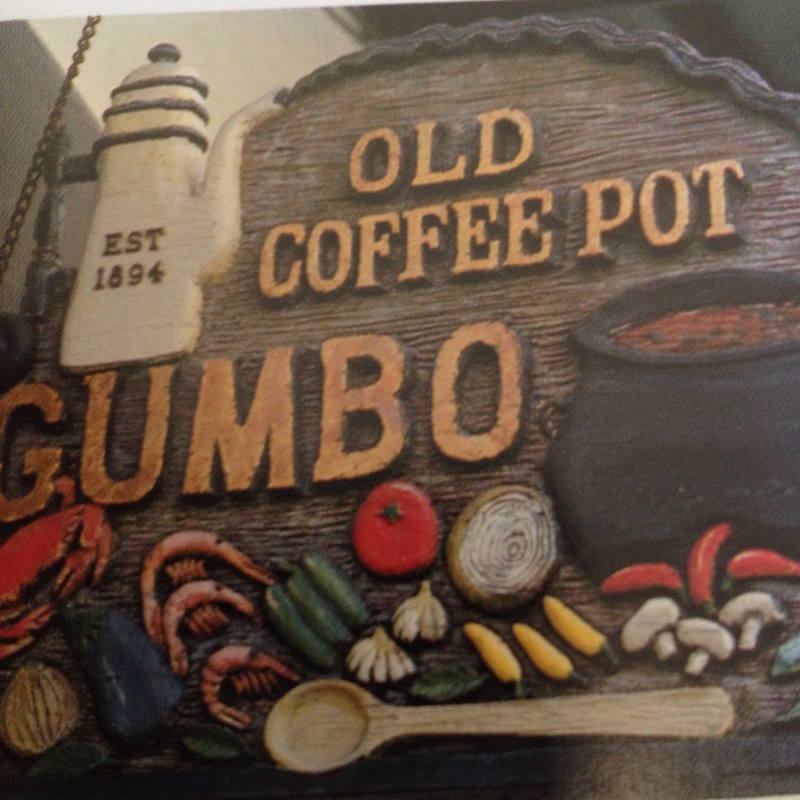 How do you decide between Shrimp Po’Boy and Louisiana Jambalaya, Cajun “Dirty” Rice or Crawfish Étouffée ? But we still think the best we ate was our first dinner there and wanted to share these recipes with you. You could always put on some jazz music and throw Mardi Gras beads on the table. 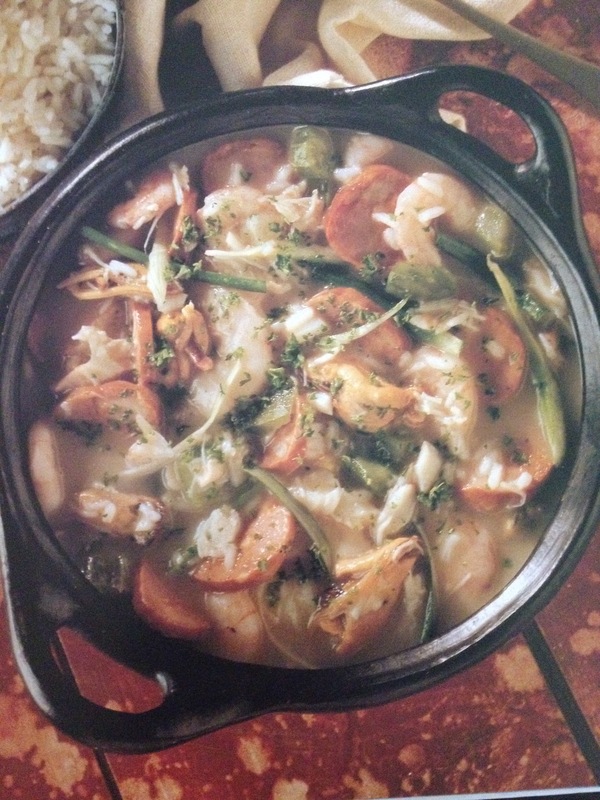 Shrimp File’ Gumbo This is a good dish for you to get out your old “heirloom” black iron skillet and use it now that they are saying it’s good for us. Put in 1/2 cup vegetable oil and add 1/2 all purpose flour, sauté till brown Add 1 large onion and 1 medium green pepper, 2 stalks celery all chopped, 6 green onions, thinly sliced, 2 garlic cloves, minced, 6 cups water, 2 cups shrimp stock or bottled clam juice, add 1/4 cup minced fresh parsley and 1 teaspoon cayenne Cook for 30 minutes Add 3 lb shrimp & 1 1/2 file’ powder Cook uncovered 5 minutes more Serve over rice with salt and pepper. 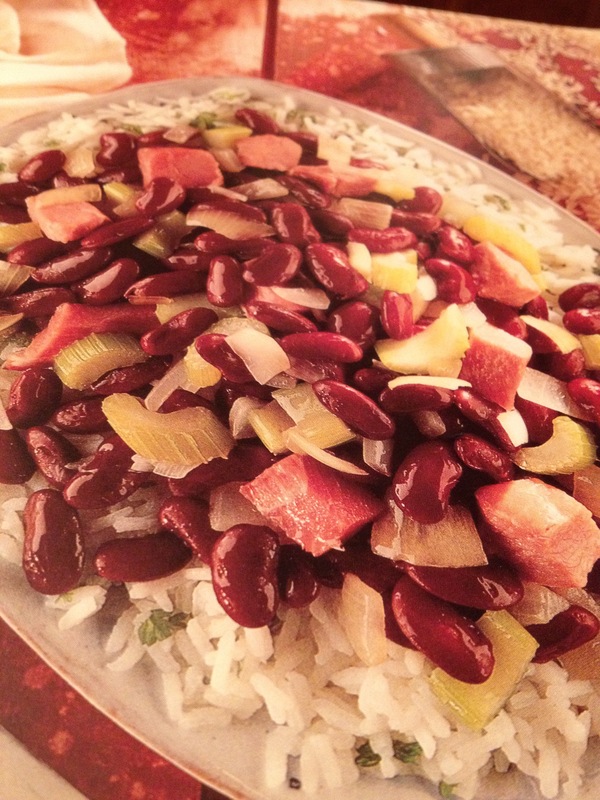 Red Beans and Rice Put 12 oz of dried red beans in crock pot and cover over beans about 1 inch Cook all night with a ham bone The next morning take out the bone and put in a new large pot. Add 1 lg onion, 1 medium green pepper and 1 stalk celery, all chopped Add 2 bay leaves, 1/2 t pepper,1/2 t dried thyme Cook on medium heat for 30 minutes Add 12 oz smoked sausage, cook another 5 minutes Serve on hot rice and top with chopped fresh parsley and green onions and all the hot sauce you want. Look what I found at the little fresh market close to me?? I didn’t even know they grew that way! All these little sprouts hanging from a single stalk. 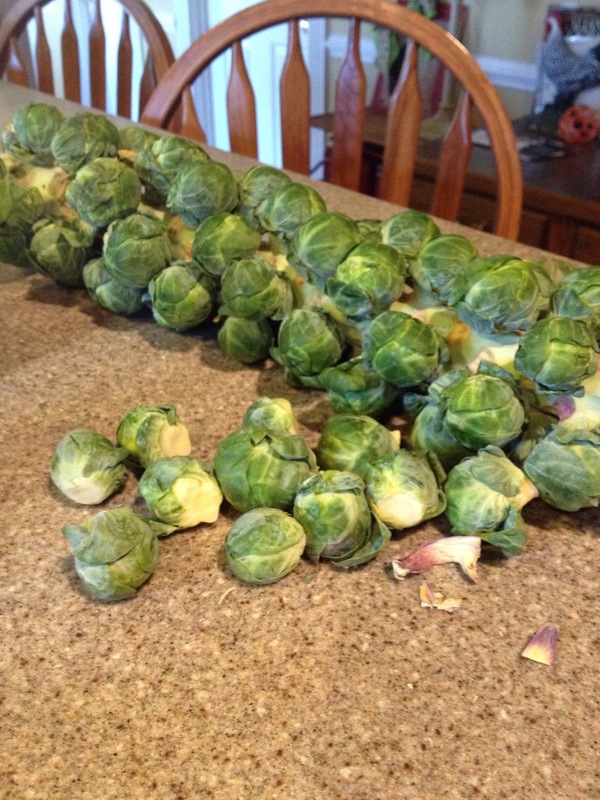 Even the man selling them said he used to think they were tiny cabbages and felt sorry for the poor farmers that couldn’t wait for the them to grow because they needed the money so badly. Well, I never even liked them myself no matter how many times Mom tried to get me to. My only connection was that my Dad bought a cane made from the stalk when he was in Hawaii one time. It was varnished and with all the knots on it, it was beautiful and made for him many interesting conversations. 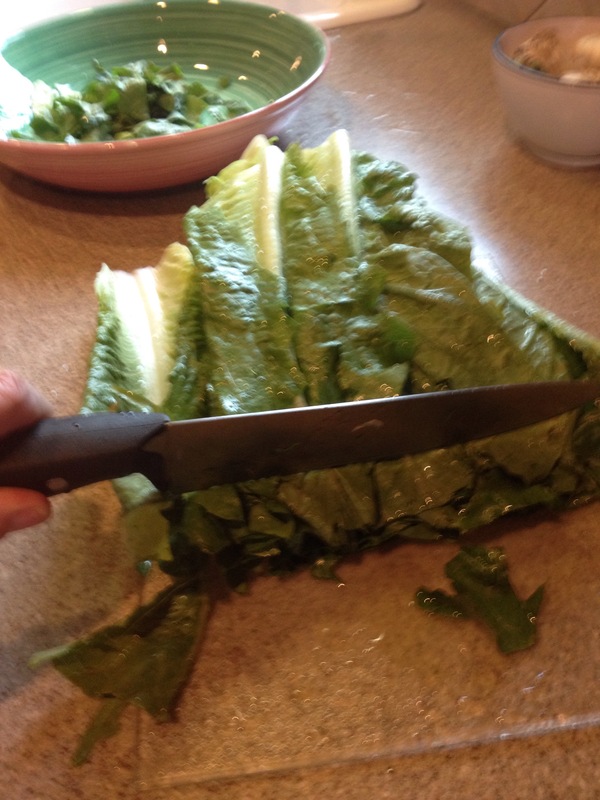 Since I had never eaten them fresh, it was my duty. 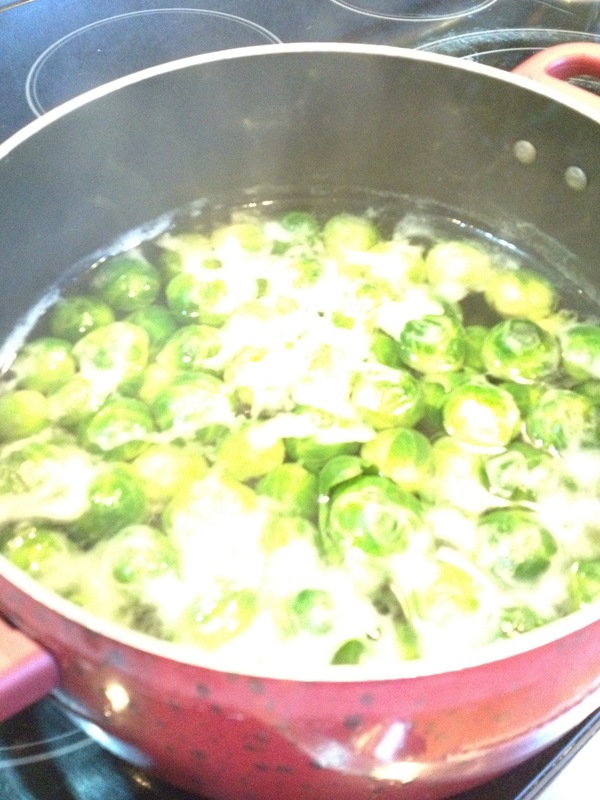 I cut the little sprouts off, cooked them in a small amount of salted water for 15 minutes and they were delicious. Mom would be so proud. I added some butter with salt and pepper. 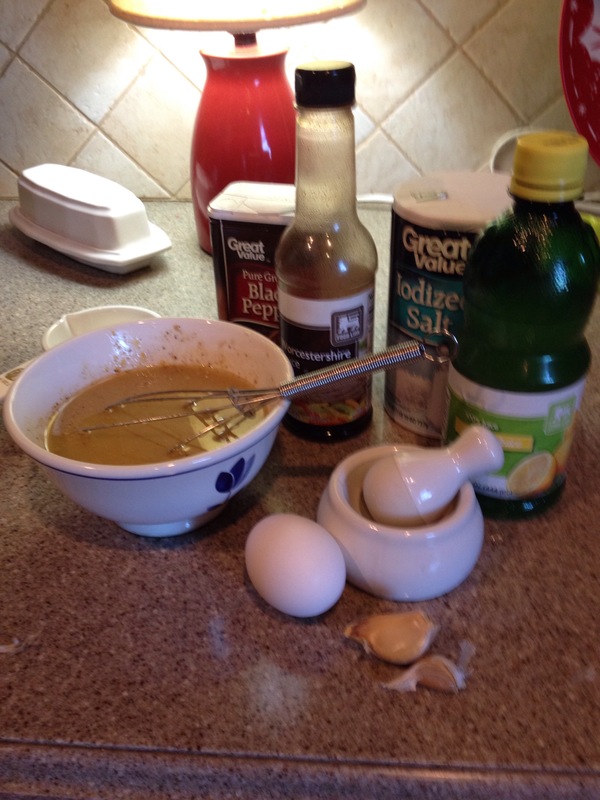 Hollandaise sauce, white cream sauce or melted cheese adds a good taste also. 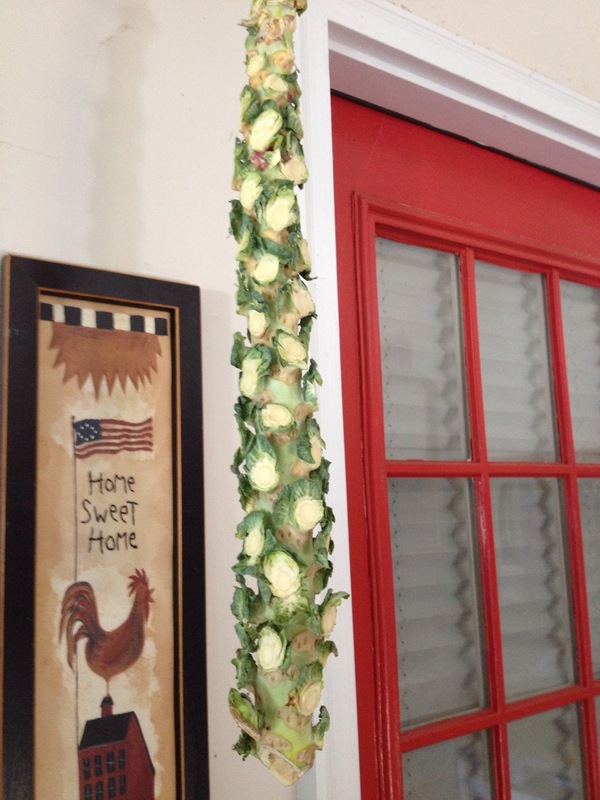 I have the stalk hanging to dry so who knows what I will do with it next. 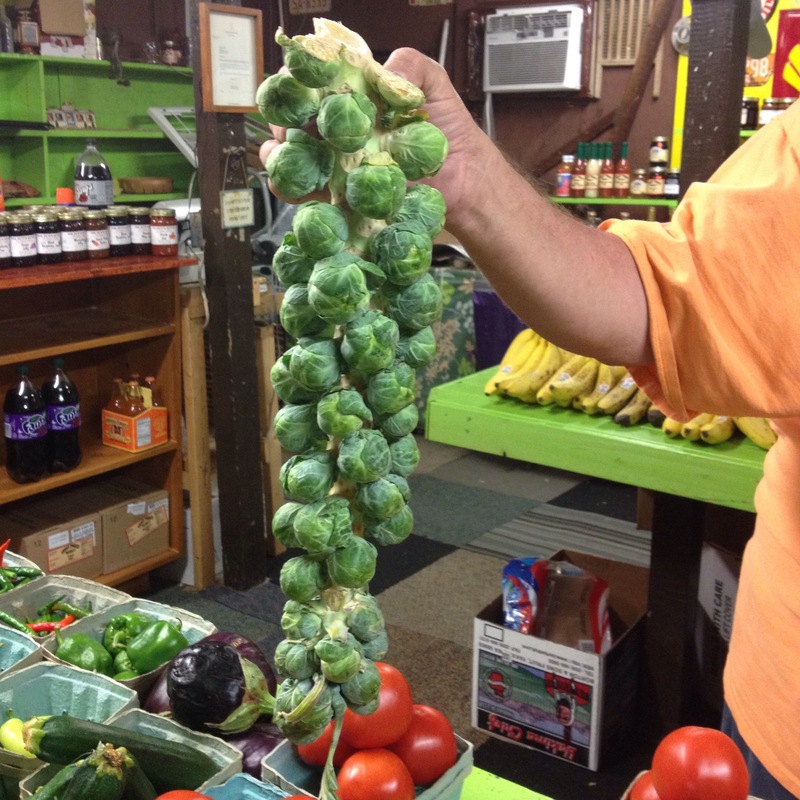 Maybe you will see me at craft fairs selling Brussel sprout canes!! My sister I are two and a half years apart in age so we grew up very close. That wasn’t necessarily true at first though. When our mother became pregnant with her I was told I was getting a playmate and when this tiny little thing came along, mom always delivered her babies a month or more early which made all of us even smaller than usual, I wanted to send her back. How could she ever be someone I could play with? She couldn’t feed herself or run around or do anything I liked to do! But as time passed and she grew she indeed became my best friend. We spent summer evenings outside on lawn chairs looking at the stars until we fell asleep. We would get to go stay with our maternal grandparents on their farm in West Virginia for weeks at a time and since we had each other we didn’t get homesick. We would sing together as a family for churches all around our area since our parents were so musical they had many requests and enjoyed sharing their talents that way. We would also spend many hours with paper dolls in our bedroom on Sunday afternoons. When one would get the mumps or chicken pox the other would join in and share the misery. It didn’t matter where our parents would take us because we had each other to be with and that made everything fun. So when my sister fell in love and married a man who lived in California we neither one gave any thoughts about the distance. With phone calls, letters and trips we continued our sisterhood just like it always was. 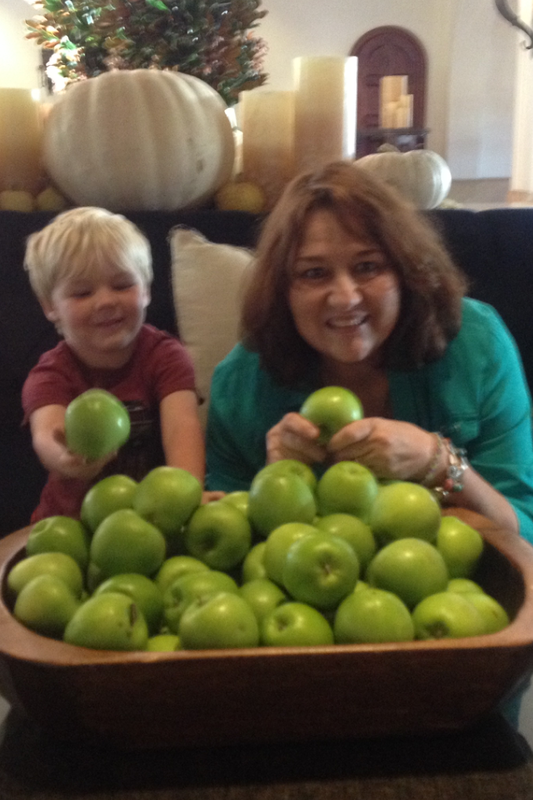 In fact she has introduced to all of us many things like fruits we’d never heard of or seen! Chinese dishes that looked very strange and all the wonderful places we’ve seen in the west is all due to her wanting to share with us the new and wonderful things she’d experienced. For one of our Christmas’s she gave all of us crepe makers and flew in to show us how to use them. You can buy crepes frozen now and it makes this a fun and easy dessert and I even fix them for breakfast sometimes! You will need the crepes. 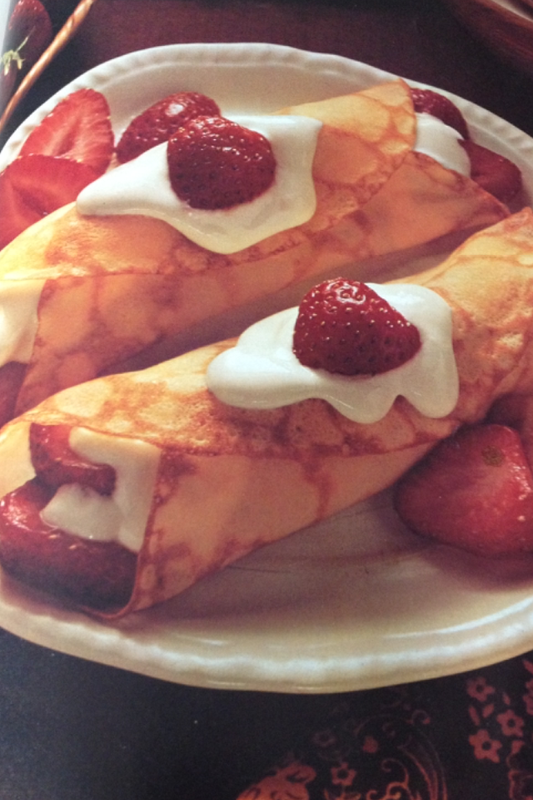 Lay them flat and fill half the crepe with any combination of fresh fruit. My sister says the secret ingredient comes next and that’s to put a little brown sugar on the fruit. Spray with whipped cream and fold over, add a little more cream on top and finish with a little extra fruit for looks! Here we are on one of our adventures. We know we don’t look anything alike! But we are exactly alike on the inside!! For several years after I moved to the south I worked at craft fairs. It was a fun thing to do on the weekends and making a little extra cash was good too. 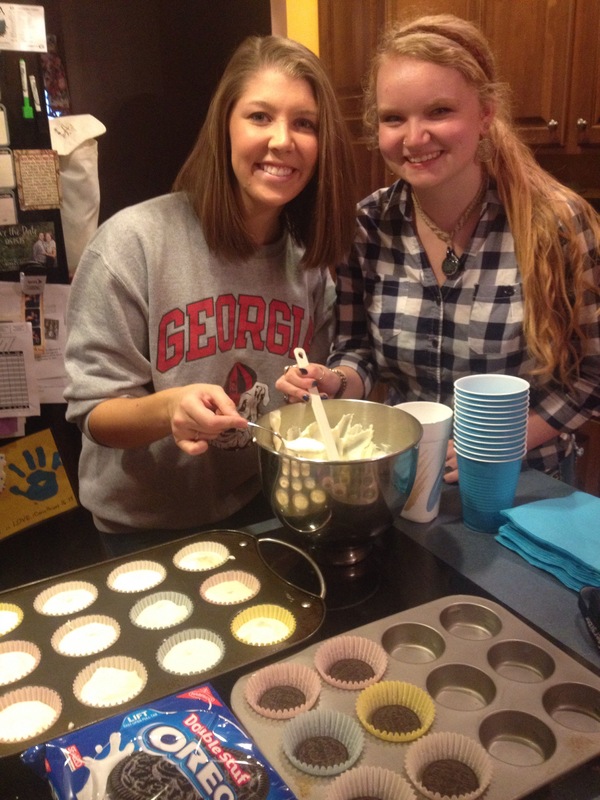 We would get up early so we’d be there to fix breakfast for the other crafters and artists. One morning they must have been hungrier than usual and we were running out of sausage and biscuits. 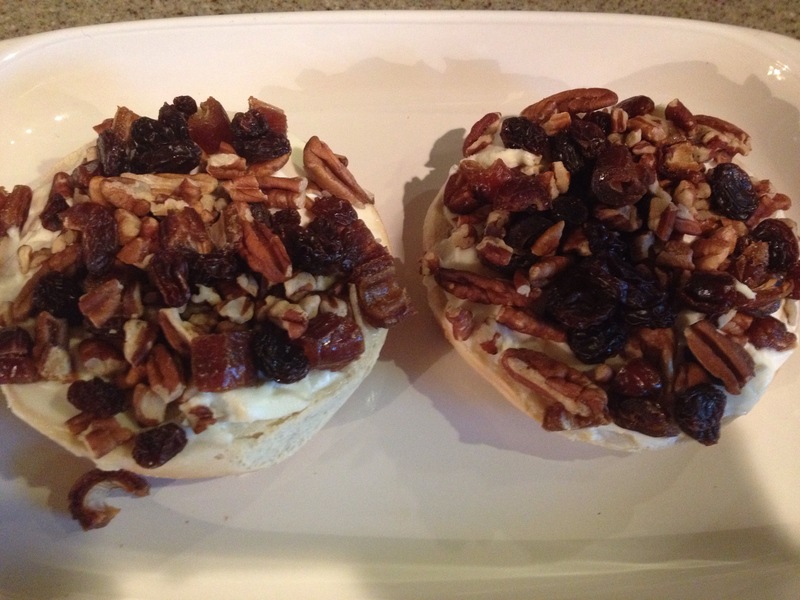 Being from the north I happened to have bagels with me so I spread cream cheese on them with raisins, nuts and dates on top. 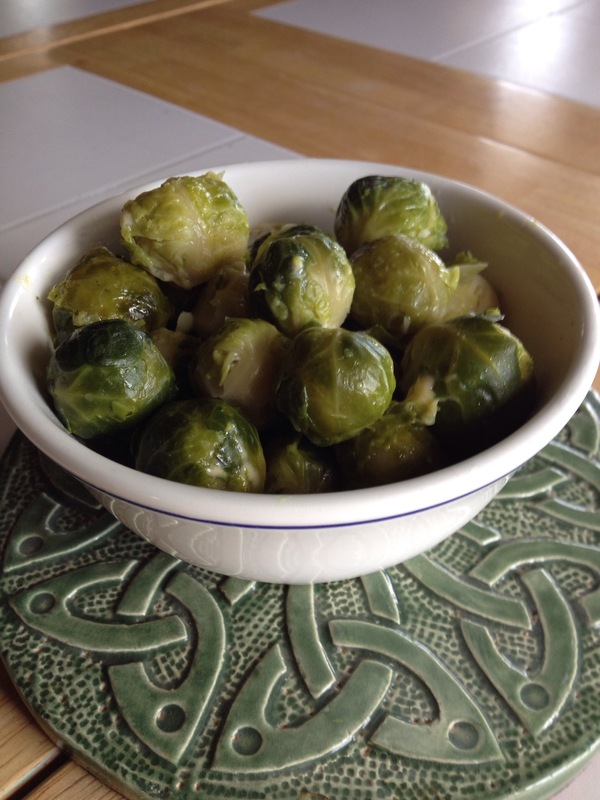 Put them under the oven for a few minutes and yummy! !